Public MVP released (web app). App Store and Google Play release in May. Any crypto user with more than 1 wallet and/or exchange account is our target customer. Our TAM currently consists of 50 mln crypto users. Managing a crypto portfolio is increasingly difficult due to extreme market fragmentation - average crypto user has 3 exchange accounts and 5+ wallets. 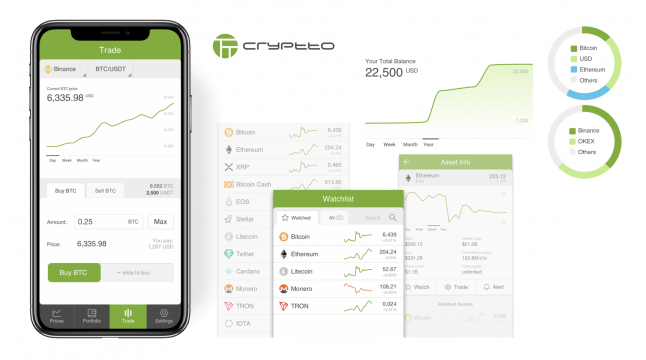 We help crypto users save time and effort by automatically tracking their entire portfolio across private wallets and exchange accounts and allowing them to trade on any exchange they have an account on via a single mobile-first interface.